This immense woman has achieved so much that today’s headline in the evening standard was “Maggie Aderin-Pocock: A woman on a mission, proving science isn’t just for rich, white men”. YES.YES.YES. I GEEKED OUT. 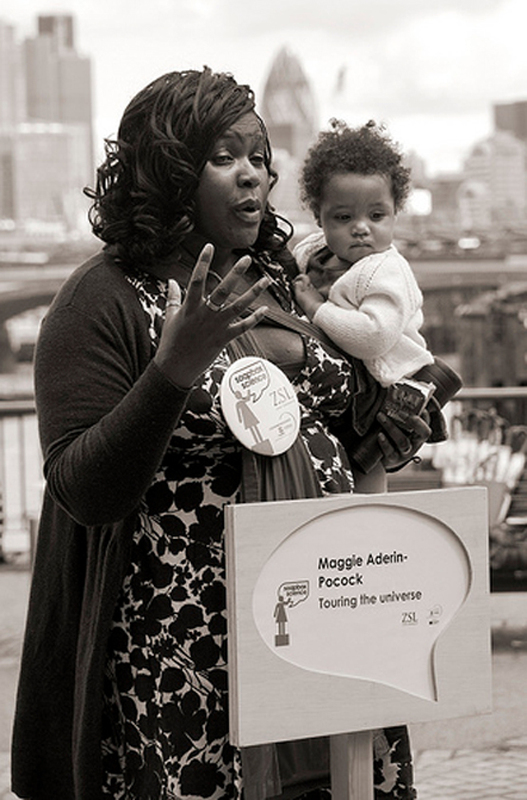 Maggie Aderin-Poncock was born in Britain to Nigerian parents who separated when she was four. She grew up in a council flat in Camden, north London, and was diagnosed with dyslexia at the age of eight. This did not stop her from going to university, earning a PhD in physics from Imperial College London, propelling a career developing space instruments at UCL and beyond, and embarking on a second career as a television science presenter. She is on a personal mission to explain science to the sort of kids she mixed with as a child in inner-city London. OOOOF. SHE IS AMAZING. “she mentions that at some point in the interview she may have to breastfeed her baby daughter, Lauren”. Proof that you can do both ladies, you can nurture a strong career and a baby, it is possible. I LOVE IT. Until next time, be inspired.